Termination Clauses | Can Promotion Decrease your Severance Package? Imagine accepting a new contract at your job of two years that includes a promotion and pay raise only to be immediately terminated as a result of corporate restructuring. Then imagine receiving only two weeks’ pay in lieu of notice. This was exactly the situation that led the plaintiff in the recent Gibbons v. BB Blanc Inc. case to claim damages for wrongful dismissal. However, the plaintiff’s claim was dismissed when the court determined the termination clause in the plaintiff’s new employment contact to be enforceable. 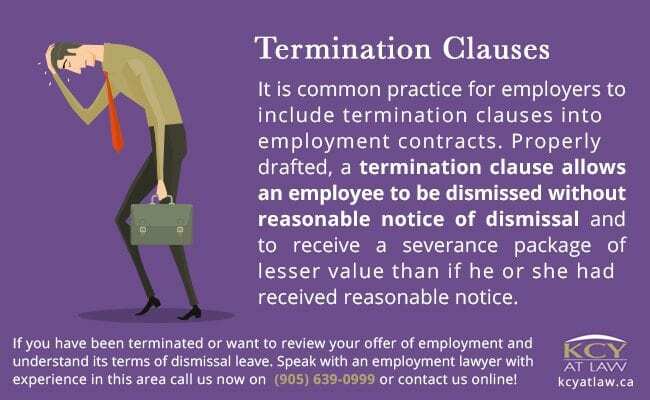 It is common practice for employers to include termination clauses into employment contracts. Properly drafted, a termination clause allows an employee to be dismissed without reasonable notice of dismissal and to receive a severance package of lesser value than if he or she had received reasonable notice. For example, an employee may only be entitled to a few weeks’ notice instead of months or even years. 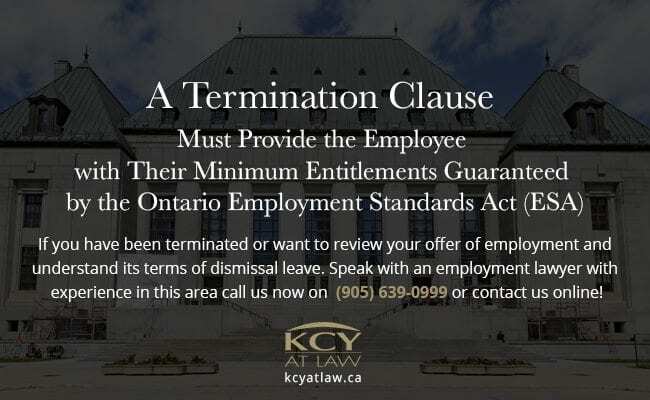 However, a termination clause must provide the employee with their minimum entitlements guaranteed by the Ontario Employment Standards Act (ESA). An employer cannot contract out of the minimum standards guaranteed by the ESA. Even if an employee agrees to less beneficial terms, their employer is legally obligated to provide these statutory entitlements. If the entitlements contained in a termination clause do not comply with the ESA’s minimum standards, it will not be upheld by the courts and the employee can be awarded reasonable notice of dismissal under the common law at the court’s discretion. Moreover, an employee’s conditions of employment, such as wage, benefits, and contributions to pension plan, must not be reduced during the statutory notice period. Therefore, the clause’s wording must be precise and the continuation of benefits explicit. A termination clause out of line with ESA standards will not be enforced by the courts and it is therefore advisable to have your termination clause drafted or reviewed by an experienced employment lawyer. consideration flowed to the employee for forfeiting these rights. Accordingly, a termination clause must only be inserted into an existing employment contract when it will be supported by consideration such as a substantial pay raise, bonus, or promotion as was the case in the aforementioned Gibbons v. BB Blanc Ltd. case. However, the courts will not generally consider continued employment as adequate consideration because of the inherent agreement to uphold obligations of an employment contract. To protect your rights and entitlements given the event of termination, you should carefully review your offer of employment and understand its terms of dismissal. 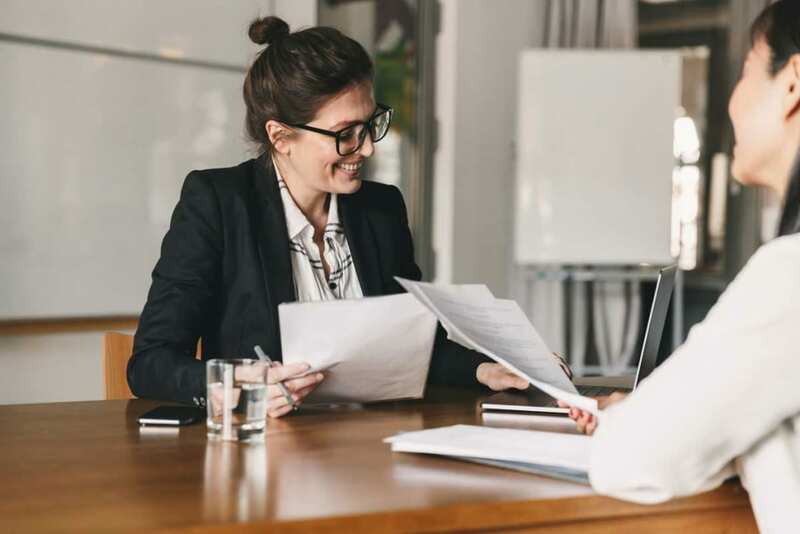 An experienced employment lawyer at KCY at LAW can determine if a termination clause is enforceable and potentially help you to negotiate for a better settlement package. Call KCY at LAW today at (905) 639-0999 or contact us online to schedule a consultation. https://www.kcyatlaw.ca/wp-content/uploads/2016/11/Could-a-Promotion-Decrease-your-Severance-Package.jpg 800 1200 Kathy Chittley-Young https://www.kcyatlaw.ca/wp-content/uploads/2018/01/KCY-at-LAW.svg Kathy Chittley-Young2016-11-10 09:01:462019-03-08 17:36:29Termination Clauses: Could a Promotion Decrease your Severance Package?